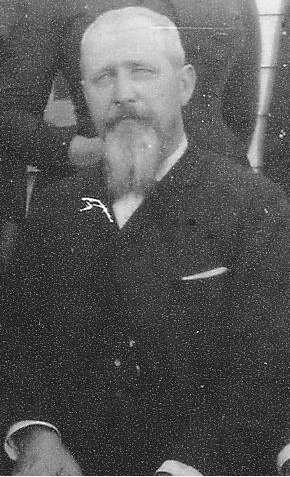 Founder of Brazos Compress Cotton Co.
William David Lacy was born June 25, 1845 in Mason County, Kentucky. When he was nine years old, his father brought the family to Texas. His father, Charles Christian Lacy, had been an active mason in Kentucky and upon coming to Texas, he helped to found the city of Denton where he became a charter member of Stanfield Lodge #217. It is worth noting that C.C. Lacy owned the first hotel in Denton for many years where hired legendary outlaw Sam Bass to work in the stables prior to Bass’s foray into a life of crime. Denton and his primary teacher was Brother and Judge F.E. Piner. This was the first iteration of long-term formal education in Denton County and many of Stanfield Lodge’s members would later be a collective driving force behind the establishment of the University of North Texas. In addition to the school, several early churches were also allowed to meet in the same masonic building. There can be no doubt that this example by Stanfield Lodge and William’s own father inspired him to become a mason later in life. 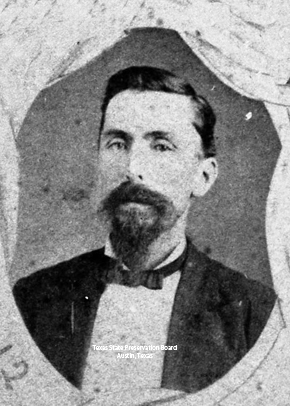 At the age of sixteen, William Lacy enlisted in the Confederate Army and was serving in Galveston at the close of the war. He walked more than two hundred miles back home to Denton and re-emerged himself in the civilian life. Starting out as a merchant, he opened a store in Bolivar and then relocated to Ozark, Arkansas where he had a store for ten years. In 1873, he was hired by the Gilkeson-Soss Commission Company in St. Louis where he bought and sold cotton until 1882 when he quit that job and moved to Waco, Texas. impressive capacity to turn out 700 bales of cotton every ten hours. 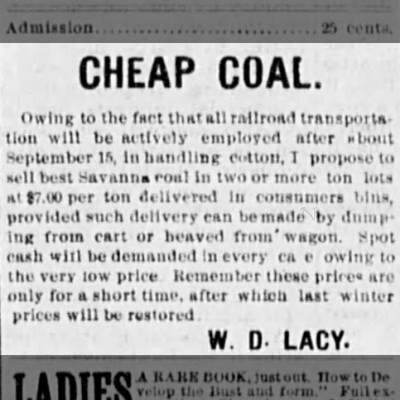 Lacy Coal Company was his primary operation, though, and as the first major coal producer in town, he thrived. William also bought the two local water companies and established a new waterworks facility with new-age piping east of downtown. Lacy himself designed the new piping system. He sold this Bell Water Company to the city of Waco in 1903 after it had already added greatly to his fortune. 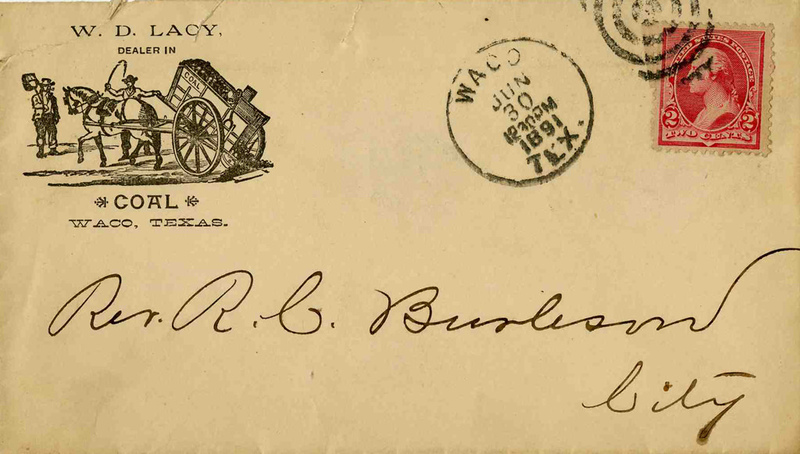 In 1884, he became a co-founder of Citizens National Bank of Waco. He forever remained affiliated with that bank and served as its president from 1909 to 1917, succeeding fellow Waco 92 member Jesse McLendon in that capacity. Other banks in which Lacy simultaneously functioned as a director or primary investor were located in West, Aquilla, Bruceville, and Hubbard. Not everything was perfect for the new leading Wacoan, though. In 1886, Lacy’s first wife, Helen Garner, passed away at only thirty years old. 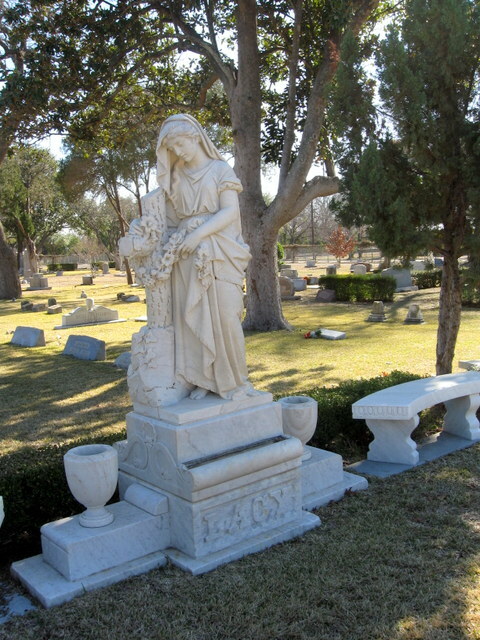 To honor her memory, he commissioned a sculpture that was made in Italy. Brother Lacy also served as director of the Texas Electric Railway Company and president of Clifton Manufacturing. Suffice it to say, Waco businessmen saw fit to bring Lacy onto any business venture they wanted to succeed. On March 5, 1917, William Lacy slipped on ice and fell on his front porch. He suffered injuries from which he failed to recover and he died eleven days later. With great wealth came great amounts of land in the 1800s and so Lacy sold plots of his land east of Waco. 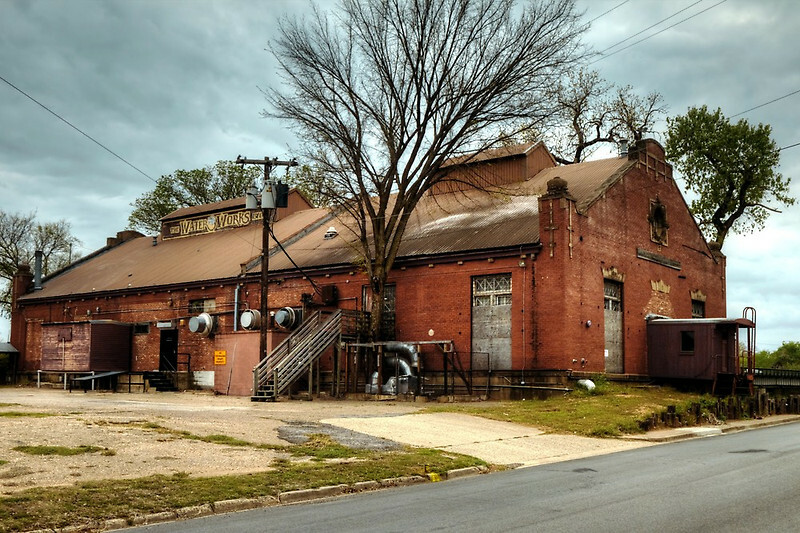 When a new town sprouted up around a Texas Electric Railway Depot, the citizens decided to name the town after the man who had sold them the land on which they lived. The town of Lacy eventually merged with neighboring Lakeview and today, Lacy-Lakeview is the most obvious sign of Lacy’s influence on our community. His descendants continue to be leaders of the Waco community and it is not uncommon to run across the Lacy name in our local banks and businesses. Just as it was in the 1890s, seeing the Lacy name is a good sign that you are about to make a wise investment. and evolved into Plantion Foods, a major producer of turkey meat which is now owned by Cargill Turkey & Meats. The old Waterworks building where Lacy once engineered his own water pumping and filtration system remains. It was used as the Waterworks Restaurant for a number of years but now sits uninhabited. Lacy’s memory should also be recalled at Baylor University. When Baylor made its move from Independence to Waco under the leadership of Joseph Speight and Rufus Burleson, William Lacy provided what was then an astronomical sum of $5,000 to aid the relocation.